Join the Wolf Pack for a beautiful Mother's Day Art Run + Pilates class in Brooklyn, where moms run FREE! 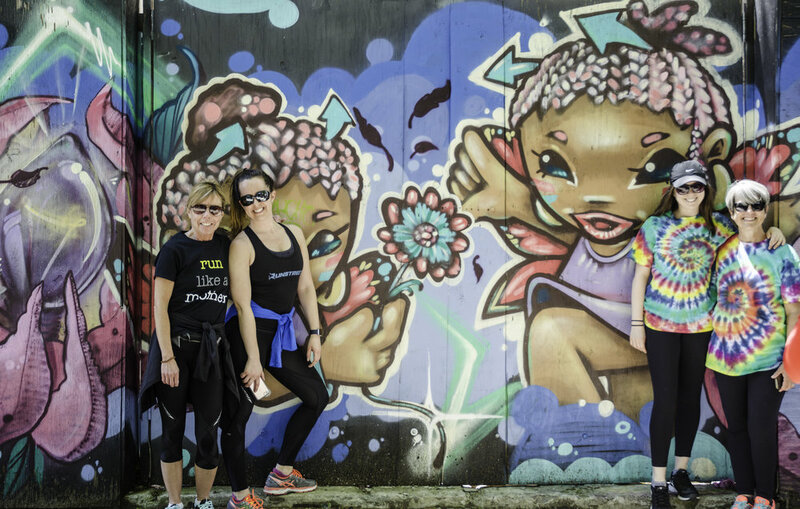 Check out the latest incredible murals in Williamsburg, Brooklyn in this relaxed pace 5K fun run. Followed by a Pilates for Runners class at Pilates Bklyn. The pilates class is low intensity and perfect to build strength and prevent running injuries. Plus healthy snacks from Clif Bar. For the Art Run, will go at a 10-minute-mile pace, with stops for photos along the way. There will be a bag drop at Pilates Bklyn, located inside Brooklyn Athletic Club (on the third floor), where the run begins and ends. Use #MothersDayArtRun to enter the photo contest! Grab your mom and come out for a sweaty, fun bonding day! No minimum age. The only prerequisite is being able to run 3.1 miles. Take the L train to Bedford Avenue stop or the G train to Naussau Ave stop. In the event of extreme weather, the event will be rescheduled. All participants who cannot make the event will receive credit toward a future event. No refunds. Just be prepared to pull your ticket up on your phone.